2018 food trends: what will we find on the table next year? Is it right for a bar or restaurant to follow food trends? It depends. Updating and adding something new to your menu does give a good reason for your customers to return, making them loyal and attracting new ones who are interested and intrigued by that particular offering. At the same time, however, following fashions and trends indiscriminately, and offering everything without being specialized, may in some cases be detrimental to the restaurant, causing it to lose its special identity and peculiarities. Your best bet is to select and customize a new trend to your reality and needs, considering that the expansion of your offer always involves economic effort. That being said, what are the novelties for the coming year? What trends does food hold for 2018? Let’s find out! 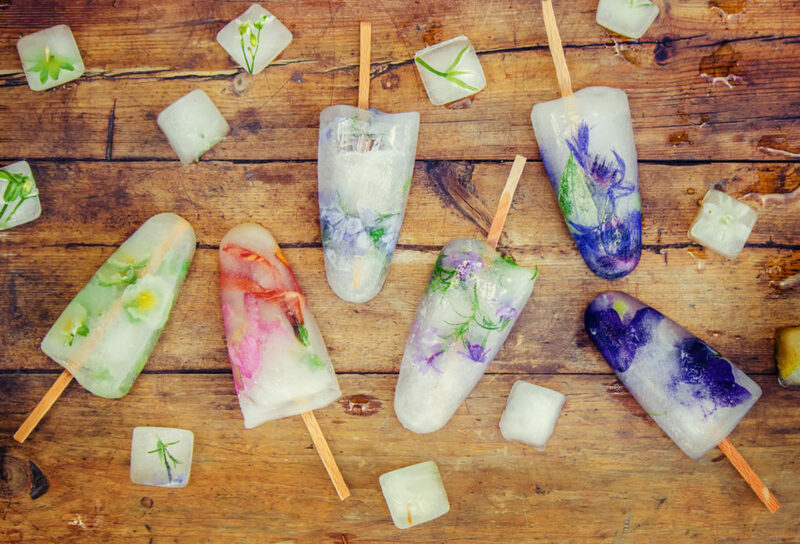 Lavender milk, elderflower lemonade, rose popsicles, and violet ice cream. The year 2018 takes the concept of “back to nature” and floral inspiration will lead the chefs to create dishes, snacks and drinks aromatized with flowers of all kinds and their petals. Powdered foods and powders for drinks. The powders are perfect for all kinds of food because they are easy to add into each dish. Spirulina, matcha, herbs and roots are a smash in milk, in energy bars, and soups. In particular, there is turmeric: already widely used in kitchen, combined with ginger, honey and thyme to give taste to tea, herbal teas, infusions and tonics, is also used as a condiment for fish, vegetables, rice and desserts. Starting next year, we will see it used even more with milk (almond or coconut) and in coffees, a drink in warm colors already proposed by Starbucks and very popular abroad. No longer used just in sports in the form of dietary supplements, functional mushrooms now enrich drinks, coffee, tea, smoothies and soups, or we can find them in cocoa and chocolate cakes. These are specifically chaga, reishi and cordyceps varieties also used in body and hair care cosmetics. Breads are becoming more common and in 2018, more restaurants and cafes will produce their own flour, revisiting the oldest grains that have been forgotten by industrial baking. Bread and bakery products are no longer marginal “side dishes” but have entered our menus in all respects and in all forms in starring roles! 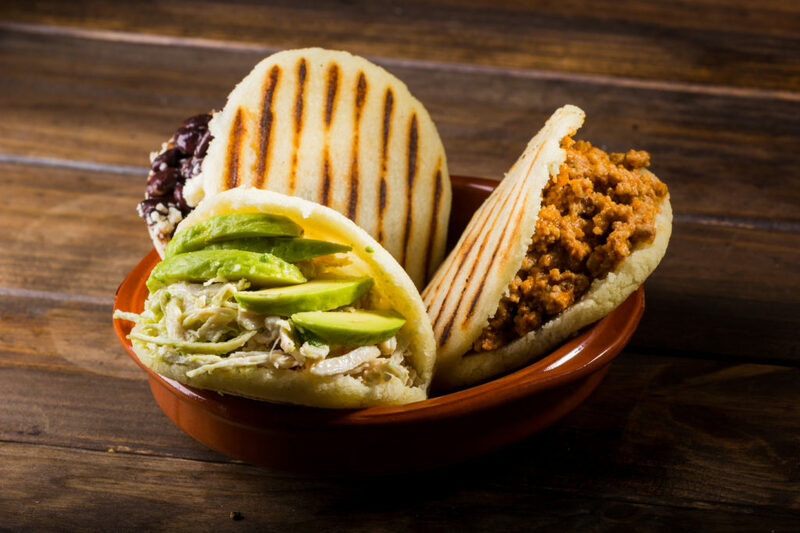 The arepa, in particular, continues to rise in popularity and we will soon see it on our tables. This is the typical Venezuelan bread made with cornmeal and stuffed with anything from meat to avocado, from cheese to eggs. Snack consumption also continues to rise. Not just based on fruits, snacks are moving towards ever more exotic and unusual mixes; thanks to the new extrusion methods, chips now come in many flavors, manioc, rice, seaweed, brussels sprouts or parsnip, available in increasingly practical packs. Asian dishes already are part of our menu and our selection. In 2018 we will see a deepening of the knowledge of Asian cuisine, which will explore the deepest traditions of Eastern cultures to discover regional specialties, typical dishes and classic ingredients. We will dress our dishes with new spices like cardamom, harissa and za’atar and enrich our menu with new recipes. This is ethnic food on the go. We already know tacos very well, but expect their real boom next year, when we will find them everywhere in all forms. They will be offered for breakfast, as a dessert or in the traditional savory version, in preparations made with ancient corn but no cereals. The idea will make an impression on many people, and yet it is already a reality in different cultures in many countries. Italy will also be included starting next year. Insect-based dishes in all their delicacy will be on our tables in 2018. Rich in protein, they will be offered as a main course or used in the preparation of other foods. Not all will be allowed in Italy, but we could definitely see crickets, centipedes, tarantulas, worms, silkworms, butterflies and bugs. The 2018 will see the grand return of bitters, the stars of revisited cocktails and new blends. Soft drinks will also increasingly appear; in particular, non-alcoholic versions of typical alcoholic cocktails will be offered or new carbonated beverages such as aromatized effervescent water and soft drinks created with plant extracts and herbs. In our previous article, we talked about coffee and how to serve it properly to ensure a flawless experience for your customers. And what if the coffee not only treated your taste buds but also your sight? Directly from Australia and India come glitter coffee and cappuccino, which is decorated with edible glitter. After unicorn food, this latest fashion is already having great success and soon we can we color our lips with glitter from the morning coffee. The extra touch? Of course, there is also colored milk! Finally, let’s make full use of the tastiest delights! 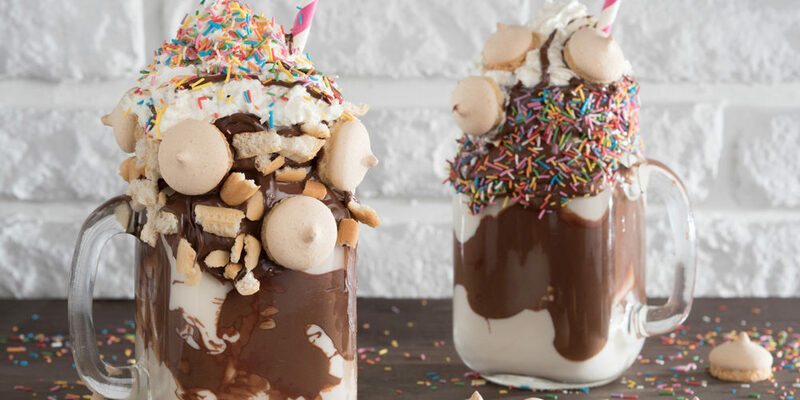 The year 2018 will bring satisfaction to any sweet tooth, from the freak shake, high-calorie milkshakes made with abundant addition of all kinds of sweets and toppings (nutella, whipped cream, marshmallows etc. ), to savory desserts; that is, cakes revisited by adding new ingredients like cauliflower combined with white chocolate mousse and coconut, a dessert offered by a chef in Paris, and ending with the grand return of fried foods: fried squash, fried eggs, fried tempura and chicken pizza galore. Ready to update your offers? Follow the right trends for your restaurant next year and impress your customers! Also for 2018, Krupps is the perfect ally in yuor kitchen!